Party hosts like recipes like this because they take all of five minutes to prepare. No sweating in the kitchen over complicated recipes. Party guests like recipes like this because they take all of two bites to consume. No worrying about balancing the plate with the fork and the cocktail, all whilst having a conversation. In other words, these are the perfect party appetizer. You'll love making them because they're so simple. 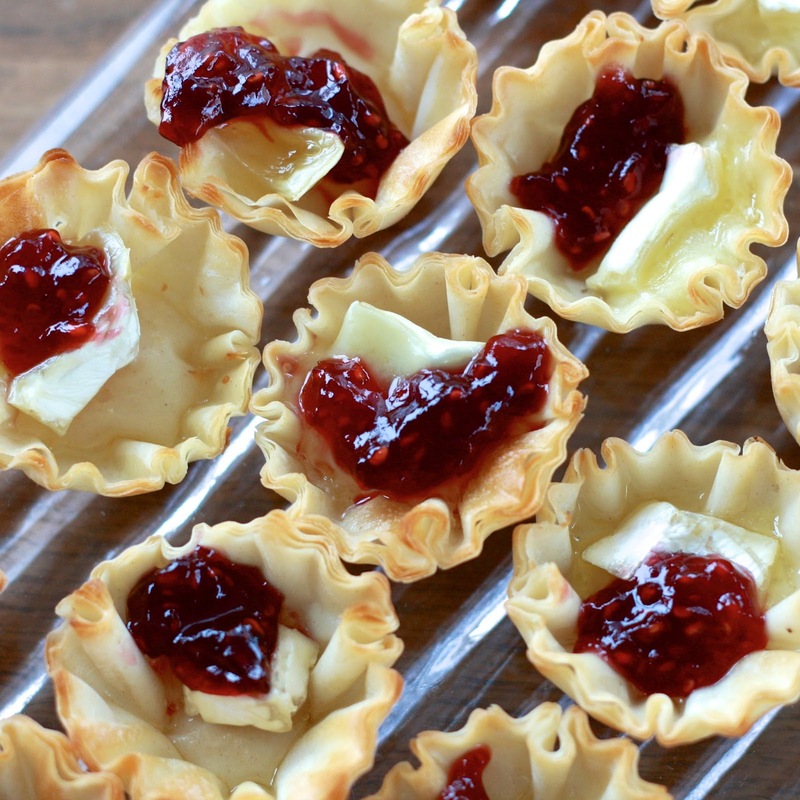 Your guests will love eating them because they're tasty little things, as all brie fruit combinations are! 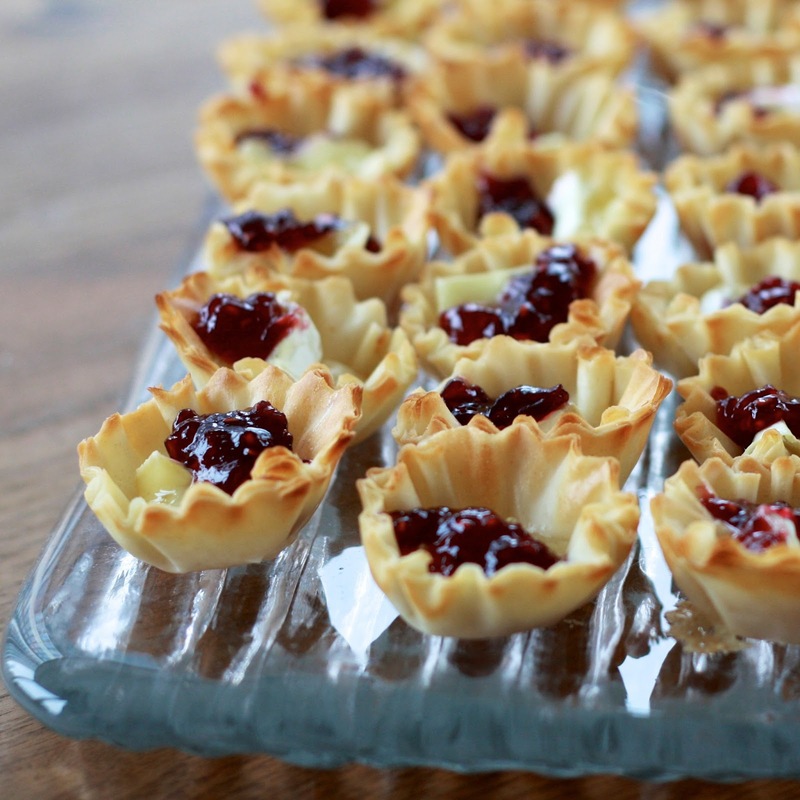 Make these for your next gathering and watch them disappear! 1. Preheat oven to 350F. Place fillo shells on a rimmed baking sheet. Place a piece of brie in each shell. Bake for 5-7 minutes, until brie begins to soften. 2. Top each cup with a tsp of raspberry jam. Return to oven for 3-5 more minutes. Remove from oven and place on a serving dish. Can be served immediately.